With the financial support of GTC Bulgaria, Sofia will soon have a new symbol and new motto. The company joined the building of the miniature model installation "Sofia - wisdom in action" and from March 22nd, 2012 on, is official partner of the project. The Bulgarian capital is the only European city in which four operating temples of different religions are located on an area of 1 sq km., to prove that the dialogue, tolerance and generosity are possible. GTC Bulgaria appraised the idea of unconventional presentation of the Bulgarian tolerance towards different cultures and supported the construction of the installation. 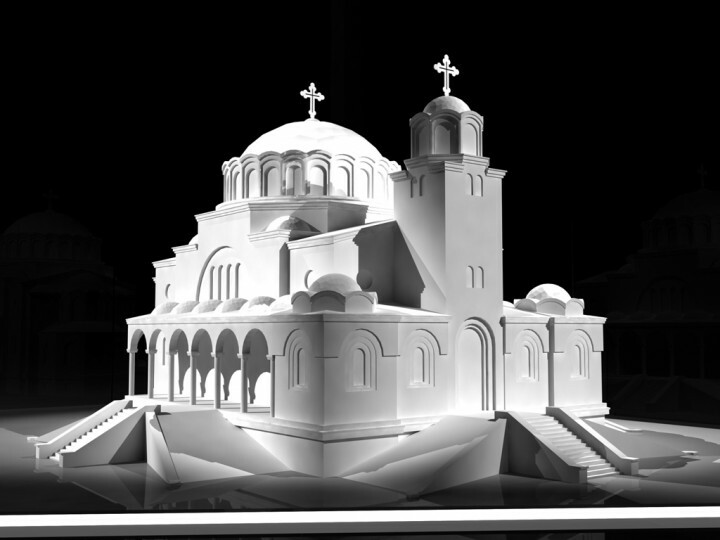 The miniature models of the Orthodox Church "St. Nedelya" (Bulgarian for "Saint, Holy Sunday"), Catholic cathedral "Saint Joseph", Sofia synagogue and Banya Bashi Mosque will be located in the space between the Presidency and TZUM (Central Universal Store). The installation will cover an area of 100 sq. m, covered with a glass dome with build in lights and sound. Modern interactive telephone system will provide information on the landmark buildings in Bulgarian, German, English, French and Russian. "We started the work on "Sofia - wisdom in action" year and a half ago. Now with the support of GTC we will be able to realize the project. For us it is important that the company does not only support us financially, but also evaluates our ideas to show the culture and traditions of Bulgaria in an unusual way," said the producer Sunny Suninsky, one of the authors of the project. The moment GTC gained a foothold on our market it started to get to know the people, culture, traditions of the Bulgarians and to seek unconventional ways to present to the world the country it invests its money in. It liked the approach of Workshop "Bulgaria in Miniature" and began to support its undertakings. The company welcomes and helps the team of enthusiasts to animate and bring more emotion in the tourism through "Mobile guide." And the newest shopping center of GTC Bulgaria - Galleria Burgas, which will open on May the 15th, will host the unique exhibition of scale models of iconic buildings "Bulgaria in Miniature", which except a place for shopping and entertainment, will become an educational and tourist center too.